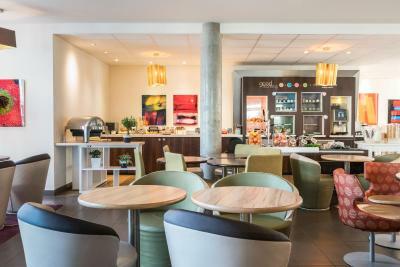 Lock in a great price for Novotel Suites Reims Centre – rated 8.4 by recent guests! Very modern and clean. Good amenities. 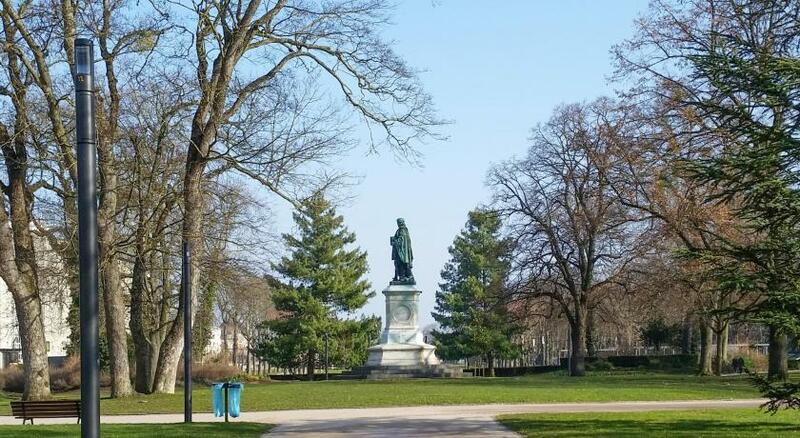 Great location for exploring Reims on foot, easy car parking, and easy to navigate leaving the city. Very good breakfast. Very fresh new hotel. Exceptional location within 3 mins walk from the Train Station, 5 mins walk from the City Center, yet on a very quiet street. Despite backing into the railways we didn't hear any trains at night at all as those appear to be reserve ways rarely used. Very good beds, excellent bathroom. We did a number of day trips, so the proximity to the train station was very helpful. Great location, not in the middle of downtown but just a short walk away. Love their parking, enough like for 20 cars. Staff was excellent. Breakfast was plenty and very good. There is a WWII museum nearby, 3 minute walk at the most, don't miss it. The location was very convenient to the train station and also walking distance to the downtown area. The breakfast was very good with a nice variety of food. The room was very spacious and we were able to get a quiet room away from the train tracks for our two nights in Reims. We saw a few complaints about the bathroom design in reviews, but we found it very unique and accommodating. The bathrooms were very clean and modern with shampoo, conditioner, and body wash provided in nice dispensers in the shower. The staff were all very nice and helpful. Near downtown and the caves! Great value for your money. The breakfast was great and well worth the price. Close to the train station and bus stops to enter into central Reims. The outdoor patio was very nice for unwinding at the end of the day. The hidden trundle bed made it possible to share a room with our two teen daughters. Rooms would be great for a family traveling with children. 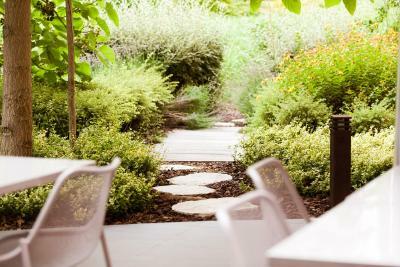 Novotel Suites Reims Center is located in the heart of Reims, a 3-minute walk from Reims TGV Train Station and a 16-minute walk from Reims Champagne Congrès. It offers en suite accommodations, a fitness room and free WiFi, as well as a business center. The spacious suites at Novotel Suites Reims Center are equipped with a telephone, a satellite TV and a private bathroom. An Espresso coffee machine is also available in each room. Novotel Suites serves a buffet breakfast daily. Guests can relax with a drink in the hotel’s bar, Comptoirs Nomades. A massage chair is available for free every Thursday evening. 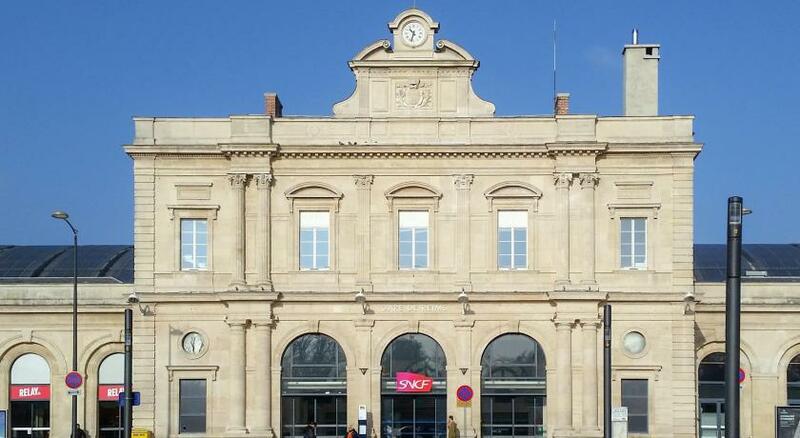 Novotel Suites Reims Center is a 10-minute walk from the pedestrian square and 3.1 mi from Reims Exhibition Center. A limited number of private parking spaces are available on site for a supplement. A free shuttle service to the city center is available from Tuesday to Thursday. When would you like to stay at Novotel Suites Reims Centre? All spacious suites include a TV, telephone and private bathroom. An Espresso coffee machine is available. House Rules Novotel Suites Reims Centre takes special requests – add in the next step! Novotel Suites Reims Centre accepts these cards and reserves the right to temporarily hold an amount prior to arrival. Please note that the hotel offers parking but spaces are limited and subject to availability and cannot be guaranteed. Children under the age of 16 have a free breakfast and stay free using existing beds in the parent’s room. The room has a very brief kitchen (water tap and microwave), so it would have been wonderful if some plates and silverwares were there, too. All the staffs were very friendly and helpful. Mini supermarket (drinks and easy/quick food) by the entrance seemed convenient. Outside view is not nice. Room is very big and the facilities inside is very nice, especially the separated bad and shower. Bed is very comfortable.Private parking is ok for 10 Euro. I liked the spacious room and the full line up of breakfast. Everything was as advertised. No issues. The room provides tea and coffee making facilities, BUT with cheap small disposable paper cups - why can't they add a couple of ceramic mugs, which would be what you'd expect from a hotel at this level? Also only two sachets of milk per couple per room - surely Novotel realise that people drink more than one cup of tea/coffee in a 24 hour period? Room was very stuffy - AC did not seem to work and you can only open one very small window for fresh air. Good breakfast. Location seems further from the centre that it is (literally wrong side of the tracks), but actually an easy 10 minute walk. Very convenient for Les Halles area with some great restaurants. It’s a bit dated and the rooms are a bit like a cruise ship - I have no idea why they have done this. The pillows are small and flat. The guy at check in was very helpful even though it was very late. His English was better than my French. He explained everything to us in terms of breakfast, parking €10 etc. The rooms are big with plenty of space. They are set up like a cruise ship - no idea why as the extra plastic on the walls in the bathroom and toilet make those rooms smaller. I didn’t fancy having a bath - not sure it was squeaky clean but the shower was powerful. Breakfast was good, everything you need. Good value for money but probably would choose a different hotel next time and I wouldn’t have stayed there more than one night. Merci! Really surprised at the size of the room we stayed in. It was huge! We stayed here as an overnight stop after skiing in the Alps, and it was nice that my husband and I can use the room partition to have some privacy from the kids. The Nespresso machine in the room was also a nice touch. It’s also great for business travellers. We work for ourselves and we often have to answer emails or do some spreadsheets even during our family holidays - so having a strong WiFi connection and a big enough space to work was a bonus. Will definitely stay here again.